My name is Frank Bernardo, I’ve been in the pizza and catering service for the past 30 years. Seeing overwhelming demand, I decided to convert a 1946 International fire truck into a traveling wood fired pizzeria on wheels. Ironic that in 1946 my truck was putting out fires, and now 68 years later the truck holds a wood fired brick oven in it’s very core. Why a 1946 international? Why not a new model truck? I envision the truck, back in the day, surrounded by all the purity and innocents, and imagine that the truck has somehow absorbed those experiences into the steel. I can see the reflections of the streets the truck once drove upon in the shine of the paint, which is now new. The truck is symbolic of the good ole days and 68 years later the truck is given new life again sort of like the mystical bird, the Phoenix. The character of the truck resurrected and I’m playing the role of Frankenstein putting the truck together with all the parts so it can assume its new identity but still hold the very spirit of purity, innocence and the good ole days. It’s fully equipped with a wood fired brick oven, espresso and cappuccino machine. I come from a line of Italian bakers and cooks stretching back generations, across the Atlantic all the way to Italy. My father was a baker at heart; he built brick ovens and operated anything that cooks. He owned and operated Gigi’s Pizza in New Haven since 1974 until 1999. I was by his side all my life taking it all in, amazed how he could turn flour, water, tomatoes and cheese into the delicious tasting thing called Pizza, his father was a baker as well. You could say baking and cooking are genetically in my DNA. With that said, I feel the stars are aligned for me to spread the authenticity of the old world flavors to all I encounter, I have the vehicle, literally speaking, to travel and bring the experience to your front door. 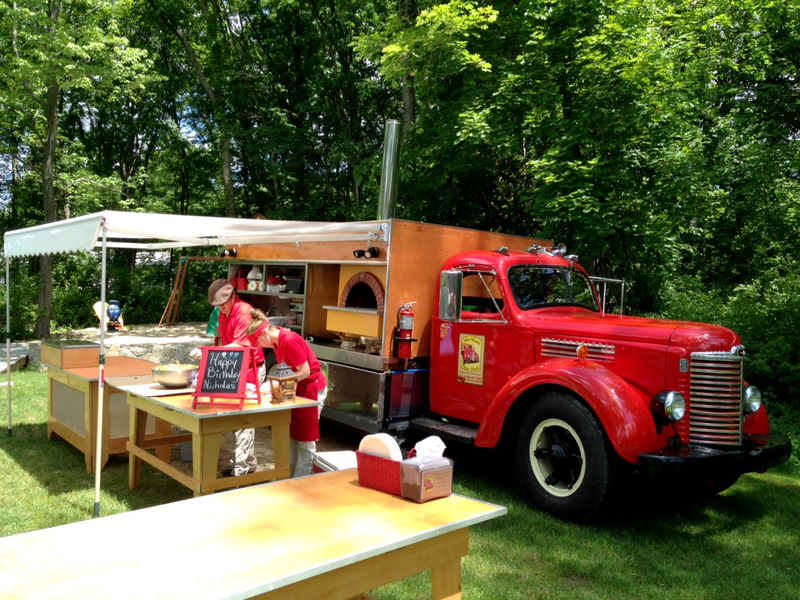 The New Haven Pizza Truck is my passion….